You and your group will receive recognition for your efforts by submitting Post-Cleanup Reports for your cleanup efforts. 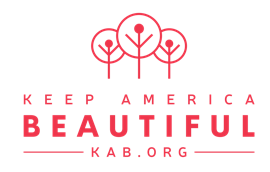 If you have trash/ debris that is either too large, heavy, or hazardous for your group to remove, let us know by contacting KWCB at keepwakullabeautiful@gmail.com, we’ll help you properly dispose of it. Receive Recognition for your hard work! Each adopted section of road will be marked with two signs with your group’s name. We will order your signs and have them installed at the proper locations. Certificates are also available to recognize outstanding Adopt-a-Road Partners. However, the greater reward will be your group’s satisfaction in knowing they helped make Wakulla safer and cleaner!